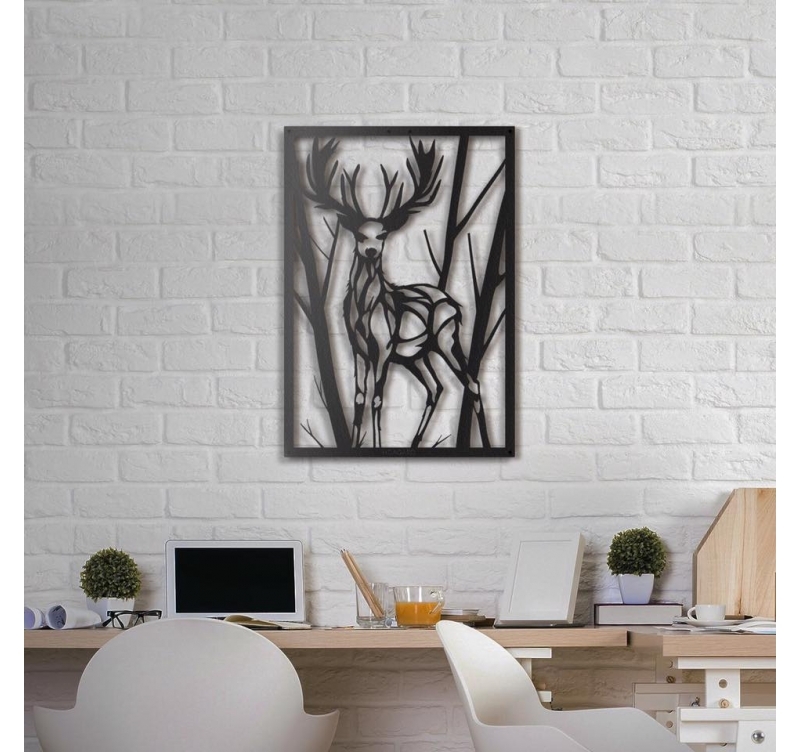 A metal wall decoration that depicts the deer in its natural environment. This design metal sculpture takes a classic subject of wall decoration. 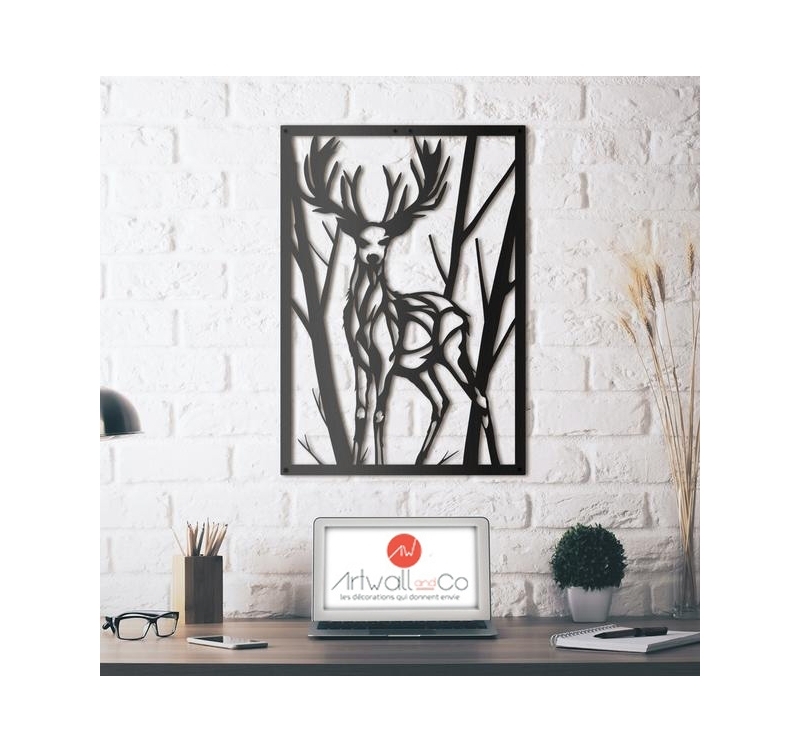 The dimensions of this deer wall decoration are 50 x 70 cm. The delivery is completely free in Metropolitan France and Belgium for this metal wall decor. 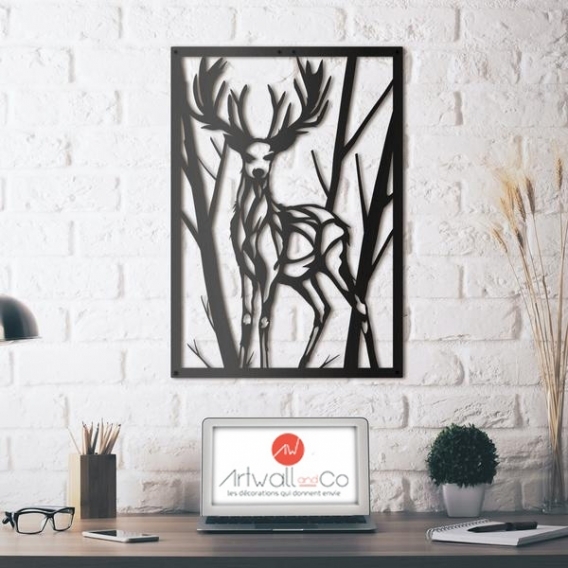 Essential animal as representative of elegance, the deer was logically selected by the creators of Artwall and Co to be reproduced on a metal wall decoration. The masterpiece is made so as to highlight a black drawing that is very well highlighted on a clear wall. The beast seems on the watch, turning his gaze to the observer, the woods majestically raised his head. A metal sculpture that looks like a modern painting, with a discreet fixation placed on the back of the accessory to allow easy attachment. Note that this metal wall decoration is entirely handmade to ensure an exceptional finish and a unique personality.